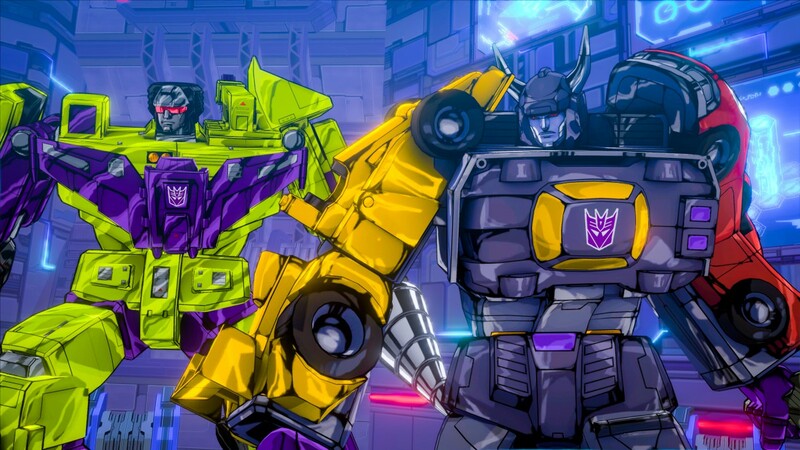 REVIEW - Transformers: Devastation - Use a Potion! Platinum Games are amazing; the games they’ve released over the years have been some of the best action titles that I’ve had the privilege to play. They are developers who can do no wrong… or so I thought. A partnership with Activision last year saw them release Legend of Korra, a licensed game that fell short of the high standards that we’ve come to expect. It was a really poor effort – especially after the recent successes of Metal Gear Rising: Revengeance and Bayonetta 2. The announcement of another take on a much loved licensed product initially had me worried – whilst I’d normally be delighted that Platinum Games were producing a Transformers game, their misstep with Legend of Korra had me slightly concerned. Thankfully, they got it right this time – Transformers: Devastation is great fun and a true throwback to the classic Transformers cartoon series. 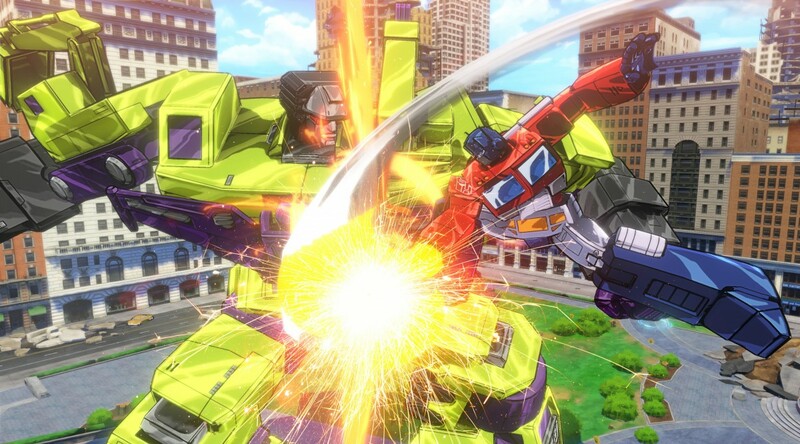 Transformers: Devastation pits you as one of five Autobots and has you facing the Decepticons in a story that could’ve been lifted straight from an episode of the cartoon series – it features the original voice actors and sets the Saturday morning cartoon style perfectly with lavish cel-shaded visuals. 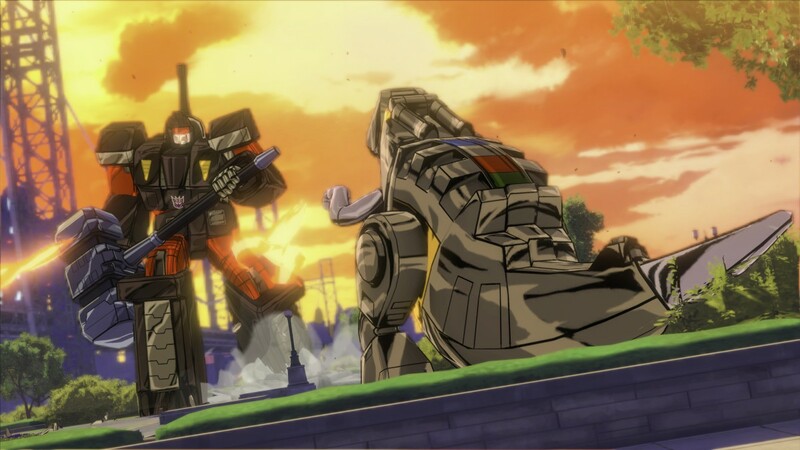 Whilst the plot doesn’t develop much further than Megatron trying to turn the world metal, it doesn’t need to; Transformers: Devastation is more interested in providing hectic battle experiences rather than a narrative driven adventure. The combat of the game carries the same formula we’ve learned to love in other Platinum Games titles – there’s a focus on quick, action packed battles that utilise a ton of different attacks. There are standard light and heavy attacks that you can string together to form deadly combos, along with special attacks such as the ability to transform at the end of a combo and unleash an extra deadly hit. It’s a neat move that utilises an integral feature of the Transformers formula perfectly – all the way down to the accompanying transforming sound effect. Each Autobot also has a unique special attack, accessible when a gauge has been filled. These attacks are powerful and look a lot cooler than standard attacks, though they are best saved for some of the tricky boss encounters. Manoeuvrability plays a big role in combat too. You’ll be fighting airborne enemies, so you’ll have to be ready to leap up and take them down with air combos. You do have access to ranged weapons, but these are mostly effective for enemies that are completely out of your range – they also don’t feel that satisfying to use compared to the exhilarating close range combat. Platinum Games have a habit of making their games tricky and Transformers: Devastation is no exception. Enemies are tough; they’ll attack in numbers and will easily take you down if you’re not careful. Fortunately, each Autobot is agile with a dash move that can be used to get out of sticky situations. A perfectly timed dodge will also result in time slowing down momentarily, akin to Bayonetta 2, allowing you to get in a few unanswered hits. Combat feels fantastic, though lacking in depth. Whilst you’re not quite button mashing, there isn’t a huge amount of variety in taking your enemies down; the formula of battles doesn’t change much throughout the game with the exception of the boss fights. You are able to unlock more attacks as you progress through the game though, and each Autobot feels different to use within battles. Whilst the core mechanics are the same, there are slight differences in how they control with each Autobot having a different focus on either speed or power. They each have a few attacks unique to them too – you’ll certainly have a favourite by the end of the game. Of course, this wouldn’t be a Transformers game without the use of each Autobot’s vehicular transformation. Transformation is easy, simply requiring the holding down of a shoulder button. You can then explore each environment with much more speed and reach areas that you couldn’t quite access in your robotic form. Vehicles are also adept for combat, with a powerful shield breaking attack that requires you to hit an enemy or obstacle at a fast speed. There’s also the high speed chases you’ll take part in – each chase fully loaded with speed boosts and barriers to smash through. These chases are really enjoyable and break up the constant platforming and battling most levels consist of. Whilst the levels throughout the game mix up with a variety of platforming, combat and vehicle sections, their aesthetics can feel a bit repetitive. There’s not a lot of different environments on offer and as you progress through each level everything can look a bit familiar – I was often left pondering ‘have I been here before?’. That’s not to say they don’t look good though, with the cel-shaded style perfectly replicating the feel of the cartoon series. The same can be said for character models; Autobots and Decepticons look amazing and have a really authentic look to them. They may not look exactly the same as you’re used to in the cartoon series, but they definitely give off a nostalgic vibe. 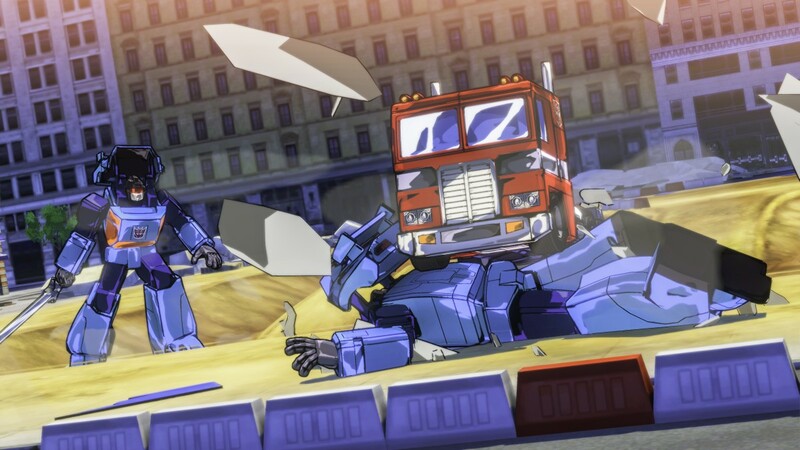 Surprisingly, Transformer: Devastation comes equipped with an expansive crafting system. Enemies drop both currency and weapons – you’re able to fuse the weapons together to create a new and improved arsenal. With the right combinations and a bit of work, you’re able to create something that can smash through Decepticons with ease. The currency can be spent to craft stat boosts; the more you invest, the better the boost. The game tries to spice this up by using a small mini-game to judge the quality of the boost. It’s a neat concept, making a system that could easily be boring require a bit more skill. The game won’t last you too long, clocking in at roughly five hours. There are a few extra difficulties to play through as well as being able to play through again as the different characters, though there isn’t a lot to motivate you to do so. There’s fifty challenge missions to complete outside of the story mode, but don’t expect to see anything that you wouldn’t have seen already during the main story. 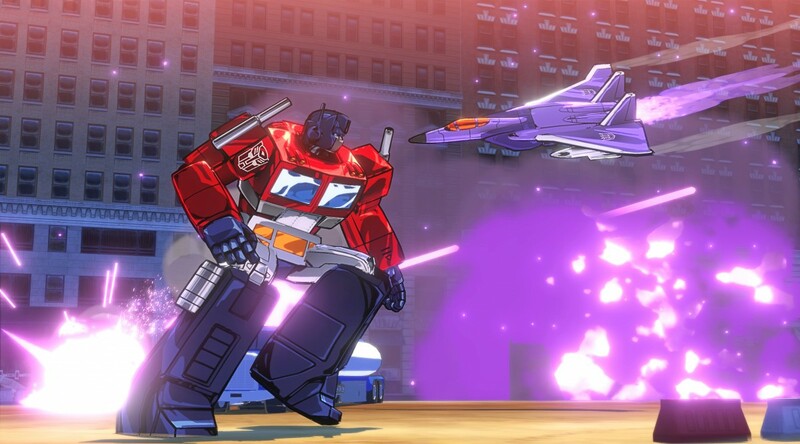 Transformers: Devastation has proved to be quite a pleasant surprise. Whilst normally I’d have complete faith in Platinum Games, there was a slight worry this could turn out to be another licensed disaster after the misfiring Legend of Korra. It didn’t though – instead we have a highly enjoyable action title that fans of Transformers will love. Combat lacks the depth we’ve come to expect from Platinum Games and some of the levels can feel a bit repetitive in appearance, but it doesn’t take away from what is otherwise a fun experience that is rich with variety elsewhere. You’ve got platforming, intense fighting and high speed chases – what more could you want from a Transformers game?